"Your site has quite a lot housing that should or should not be built or not for all sorts of reasons? As the debate rages on the rights and wrongs of various sites there is somewhere where action could be taken immediately to get people off the waiting list. The King Street houses were built as houses have all the services required and could even provide private care parking. If you do publish this it will be interesting to hear what your readers think." "You already know what my saying is: "Nairn needs houses - Get them back into use!" Murd's call has ignited a remarkable debate on Nairn Our Town and the Nairn when you were a bairn facebook pages. There is no doubt that citizens would like to see some kind of movement on restoring these buildings to public use immediately, some folk are quite angry at what they see as neglect. This particular building would certainly not be suitable for young families given the location, and it would be extremely costly to bring up to modern standards, which is why it has not been done before now. And they were snapped up by young families and not one lies vacant! As some one who has built houses I disagree they would be extremely costly to Renovate . The building is stone with a slated roof and all the required serves are in place so all that is required is for the inside to be stripped out and rebuilt. .But that would make me a property developer making money and I can imagine the objections to that! 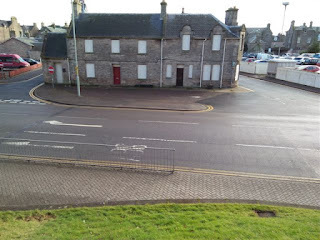 NAIRN NEEDS HOUSING JUST GET THEM BUILT do you think they would be left empty? Nairn Needs Housing to rate of 380+ so Liz's + Morgantis will not even go half way so NAIRN SOUTH is still on the Cards and OBJECTING to that two developments will only put NAIRN SOUTH on the Cards back and higher up in the frame. You earlier suggested to set our sights higher so as an ex property developer. I will consider buying that site and make a lovely profit for my self. What have you set your sights on?? The market is out there the demand is high as are the profits says a man that knows. Hi Anon, don't think we should drill down to that extent into what people think about certain housing areas etc and the good and bad points thereof. Thank you for you comment anyway. Murd's intentions are no doubt honourable. But the repetition of this same old refrain does get a bit boring. He needs to take his blinkers off. About the only thing that HAS been built in this town in the last 20 years is lots and lots of houses. Over 700 at Lochloy, including 'affordables'. Houses and flats all around the harbour. Station Hotel now turned into social-housing flats. Blocks of 'affordable' flats at the Maggot (many now being sold into private ownership). And yes, the bus station flats too. Probably over 1000 all told. Meanwhile we see a constant stream of shops closing on the High Street and down by the harbour. The closure of public services and local Council departments like the sheriff court and the planning office, meaning job-losses. A shiny new police station that is virtually un-used. Hospital beds and services pruned back. Businesses struggling. No Murd, what Nairn needs is not just more houses. That won't help the town to flourish. The town needs local people, and the local authority, to support and defend all the other facilities and services that actually make people want to come and live here, that attract visitors, and give the town its life. The old police station building needs to be turned into some kind of public facility, not accommodation. 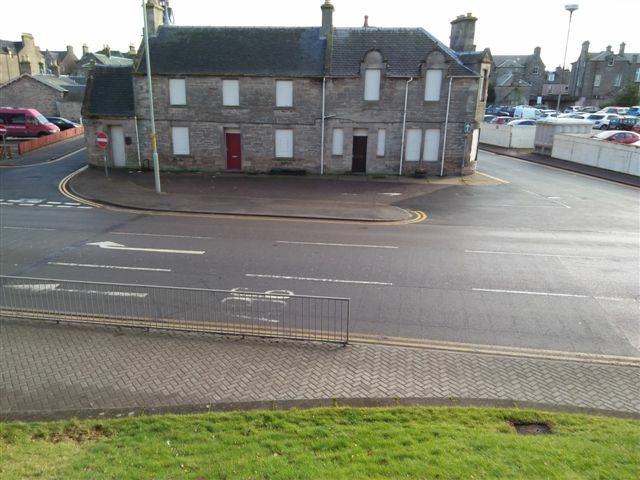 Just having lots more houses won't revive Nairn. Time to learn some new tunes, Murd!